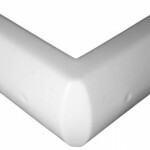 Rotationally molded marine grade PVC designed to be both soft and strong. Provides great cushioning under impact and will always return to original form. Made for a long life with UV and antifungal protection and will not fade, tear or become waterlogged. 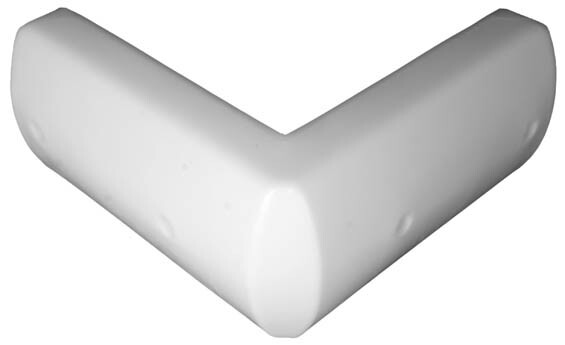 This air-filled bumper is constructed from PVC with UV inhibitors and fungicides. 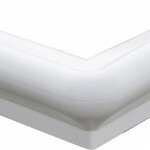 Features a built-in air valve for inflation or deflation if necessary. 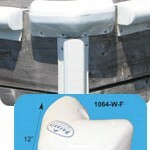 10″ or 14″ dock wheel with galvanized brackets to protect your boat when entering or leaving slip or passing by corners. 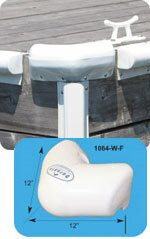 ·Made from polyethylene with UV inhibitors to provide long lasting durability that will not scratch or mark boat surfaces.